This week’s Torah reading is Vayishlach, which begins with Jacob’s return to the Holy Land following a twenty-year stay in Charan. 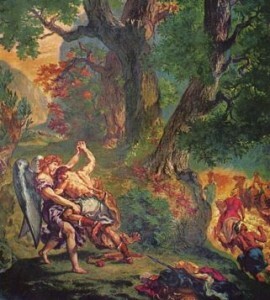 The most famous passage of this portion is Jacob’s battle with a certain angel. After its defeat, the angel gives Jacob a blessing and renames him Israel. 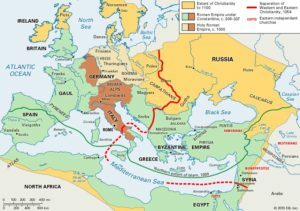 What is the meaning of “Israel”? What was the purpose of this battle to begin with? And what does it all have to do with Jacob’s difficult twenty years in servitude to his deceiving father-in-law Laban? The Torah describes in quite some detail the conception, birth, and early lives of the twins Jacob and Esau. We see that Jacob was a “quiet [or innocent] man, sitting in tents” while Esau was a “hunter, a man of the field.” As twins, and the only children of Isaac and Rebecca, they were meant to work together in carrying on the divine mission started by their grandfather Abraham. Jacob was blessed with extra intellect and spirituality, while Esau was blessed with extra physical strength and ambition. Jacob would have acted as the peaceful teacher, while Esau would defeat any remaining evil in battle. As partners, they would have been unstoppable in bringing light, morality, and a new God-consciousness to the world. Unfortunately, the two couldn’t channel their blessings in the right direction. Esau’s physicality got the better of him, and he descended into a never-ending spiral of materialism and lust. At the same time, Jacob used his cunning to take Esau’s birthright, instead of using his greater intellect to put his brother back on the right path. 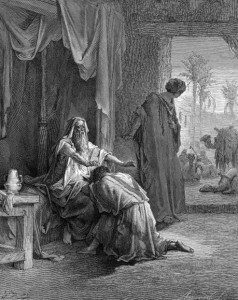 Nonetheless, Jacob remained dedicated to fulfilling his divine mission, while Esau “despised his birthright” (Genesis 25:34). By taking Esau’s birthright and blessing, what Jacob had done was to take Esau’s mission upon himself. However, Jacob was born soft and meek – not fit for a fighter – while Esau was the one born muscular and hairy, as if already a grown man (hence his name Esav, literally “complete”). 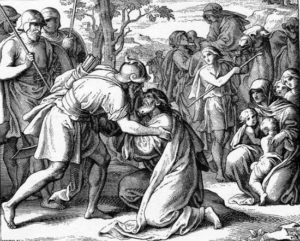 Could Jacob really become that holy warrior that Esau was meant to be? The only way to find out was to put Jacob to the test. Right after receiving Esau’s blessings, Jacob was told that his brother was out to get him. 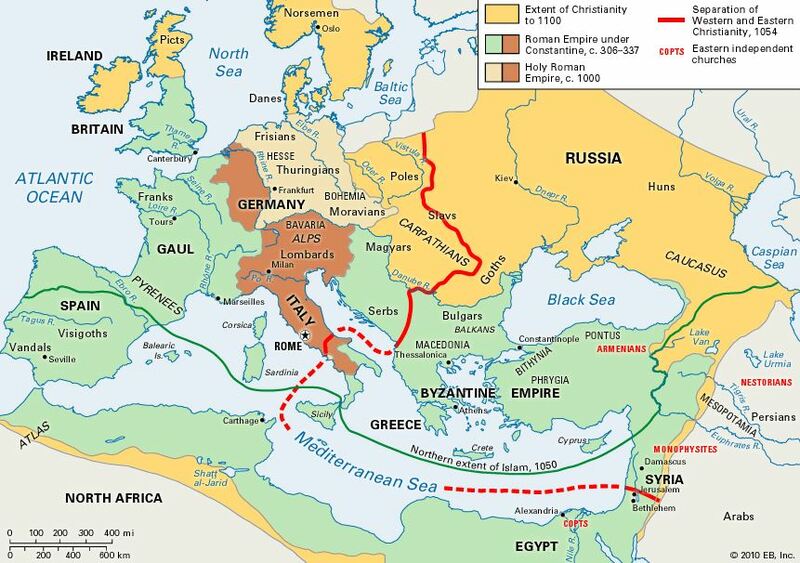 The soft Jacob immediately fled the Holy Land, as far away from his brother as he could. This was true to his character as a docile man, “sitting in tents”. But this was not what a holy warrior should do. Jacob ended up in the home of his uncle and future father-in-law, Laban. He instantly fell in love with Laban’s younger daughter Rachel, and agreed to work for Laban for seven years to have her hand in marriage. After seven years, Jacob was tricked into marrying the elder Leah instead of his beloved Rachel. It is hard to miss the irony of it all: Jacob, the one who tricked his father into getting his older brother’s blessing, is now tricked by his father-in-law into marrying his beloved’s older sister. To have Rachel, Laban forces Jacob to work for yet another seven years. This is, of course, completely unjust. A man such as Esau would have surely taken on Laban, but the spineless Jacob simply agrees, and slaves away for another seven years. Following this, Laban finds more ways to trick Jacob out of an honest wage. But Jacob is starting to learn, and counters Laban’s wits with his own, soon building an even greater wealth than his father-in-law. At this point, Jacob hears that Laban is not very pleased with Jacob, and Jacob fears for himself and his family once again. As he did twenty years earlier, he decides to flee. While Laban was away shearing his sheep, Jacob takes the opportunity to run away, taking the whole family with him. It appears that Jacob fails the test yet again, and is unable to confront his evil enemies. Ten days later, Laban and his men find Jacob, and everything begins to change. Laban waltzes in to Jacob’s camp and begins threatening his son-in-law as he’d always done in the past. But this time, Jacob has had enough, and realizes he can’t run away anymore. “And Jacob was angered, and battled with Laban” (Genesis 31:36). 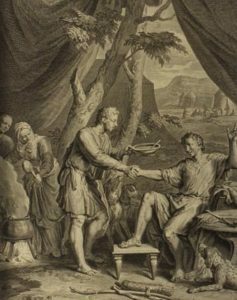 Jacob succeeds, and Laban seeks a peace treaty (v. 44). The two make a pact and part ways, never to see each other again. Jacob is becoming a fighter. This sets up this week’s portion, where Jacob has to face off with Esau, twenty years after running away from him. The night before, Jacob goes off on his own and is confronted by a mysterious figure (See ‘The Surprising Identity of Jacob’s Angel’ in Garments of Light). The two battle it out all night long, and Jacob finally prevails. He is certainly no longer that weak, passive man he was two decades earlier. He has earned his badge of being a holy warrior. And with this, he is given a new name: Israel, one who battles with God; not against God, but alongside God, to defeat evil and make the world a better place. Jacob finally proves that he can indeed be Esau, and his taking of Esau’s birthright and blessing was not in vain. The Sages tell us that this is the real reason why Jacob had to marry both Rachel and Leah. Originally, since Rebecca had two sons and Laban had two daughters, it was commonly said that the younger Jacob would marry the younger Rachel, while the older Esau would marry the older Leah (Talmud, Bava Batra 123a). Truly, these two couples were soul mates. However, Esau lost his spiritual essence to Jacob, and with it, his spiritual counterpart, Leah. The problem is that the Torah forbids a man from marrying two sisters! The Arizal (in Sha’ar HaPesukim, on Vayetze) tells us that, in fact, Rachel and Leah did not marry one man, for Jacob and Israel were really two souls in one body, and while Jacob married Rachel, it was Israel that married Leah. After all, Israel was the new Esau, the part of Jacob that wasn’t just “sitting in tents” but was capable of being a “man of the field”, too. This brings a tremendous lesson for all of us: we are not meant to be the weak Jacob, passively sitting in tents and being pushed around. Rather, we are meant to be Israel, who can balance study and prayer with strength and might; who can balance the physical with the spiritual, the science with the religion, and who knows when to seek peace, and when to pursue war. It is most fitting that the founders of the modern Jewish State decided to call it “Israel” (as opposed to its more common historic name of “Judah”). 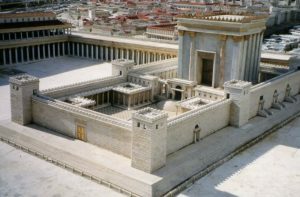 If Israel is to fulfill its divine task, it should live up to its name: battling alongside God, as holy, righteous warriors, to repair this world – both physically and spiritually – restoring it to its original, perfected state. 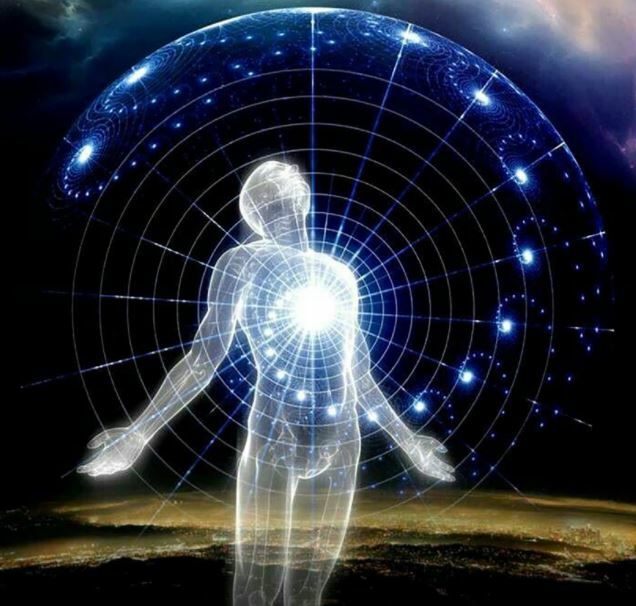 This entry was posted in Mysteries & Origins, Personal Development and tagged Abraham, Arizal, Balance, Battle, Charan, Deception, Esau, Holy Land, Isaac, Israel, Jacob, Jewish State, Laban, Leah, Peace, Physicality, Rachel, Rebecca, Spirituality, Vayishlach, War on November 26, 2015 by Efraim Palvanov.